The other day after a gym session and looking at my crazy edges, I thought to myself WTF??? CLICK AQUÍ para leer este artículo en español! I can’t use headbands to avoid sweat coming in contact with my hair, they just give me the WORST headache ever (does that happen to you, too?) and I’m not precisely the tidiest when it comes to washing my face and not letting water touch my hair edges either. 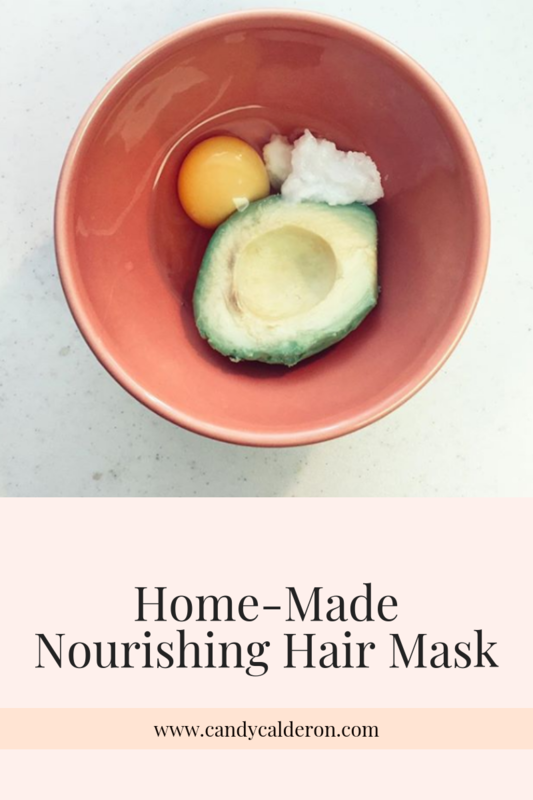 Anyways, I did this nourishing hair mask praying to the Gods that it would help the crown area of my hair, and I loved the results so OBVS I’m sharing it with you here. I’ve also been staying away from blow drying my hair as much as I can, and REALLY playing my witchy tricks, mixing herbs and making growth tonics (eating super good, of course!). Will share those too, here on the blog soon! As usual, don’t forget to TAG ME on Instagram if you implement any of the tips you’ve learned here. Use also the #CandyGlowSquad hashtag so I can find you, and cheer you on.